April 22, 2016 — MILFORD, Conn. — U.S. Sen. Chris Murphy said that a subcommittee’s appropriations bill approved Thursday includes more than $20 million in federal funds for Long Island Sound programs, and $200 million for the National Oceanic and Atmospheric Administration, which has a research lab in Milford. Murphy is a member of the appropriations subcommittee of the U.S. Senate committee on Commerce, Science, Justice, and Related Agencies. 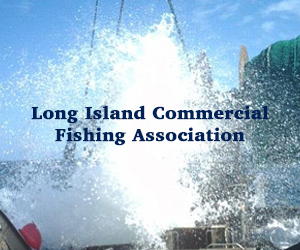 The funding, in the fiscal year that begins Oct. 1, “would support critical aquaculture research and improve regulatory permitting that supports over 700 local jobs and helps to improve the health of Long Island Sound,” Murphy said. The Milford Lab is one of just two NOAA labs nationwide supporting aquaculture research, he said. 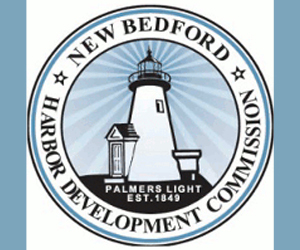 The subcommittee bill “includes language addressing concerns around staffing changes and funding cuts at Milford Lab,” Murphy said in a prepared statement. April 22, 2016 — Gloucester will add more international visitors to its guest register when it welcomes a delegation of Chinese government officials and seafood executives, as well as Chinese-American business leaders, on Monday to talk about economic development opportunities. The visit has been in the works since February, when Mayor Sefatia Romeo Theken extended an invitation during a meeting with Chinese-American business leaders, many of them restaurateurs, and officials from Boston’s Chinatown Main Street association at an occasion celebrating the Chinese New Year. The Chinese government delegation will feature some heavy hitters, including four officials from the the New York-based consulate general’s office of the People’s Republic of China. The visitors also will include three executives from The American Chinese Culinary Federation, a restaurant trade group that represents thousands of restaurants and seafood sellers nationwide, as well as officials of Chinatown Main Street and other businesses leaders from Boston’s Chinese-American community. The mayor will host a meeting at City Hall with the visitors, who then will embark on a tour of the city’s waterfront and seafood infrastructure. 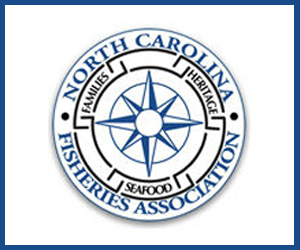 April 22, 2016 — Federal fishing regulators say potential changes to the rules that govern scallop fishing off of New England could be a priority in the coming years. The rules are a source of tension as fishing boats move into the waters off the northern Massachusetts coast to seek scallops. Scallop grounds off of northern Massachusetts, including Cape Ann, have been especially fertile, prompting increased fishing in that area. 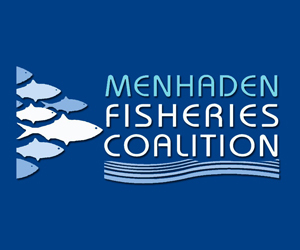 The New England Fishery Management Council passed a motion Wednesday that says changes to management of the northern Gulf of Maine fishing area will be a potential priority in 2017. 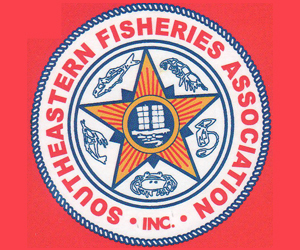 April 22, 2016 — SEA BROOK, NH — Advocates for electronic monitoring technology in the commercial fishing industry are pleased that the Senate Appropriations Committee has secured federal resources to help defray costs associated with regulating catch sizes. On Thursday, U.S. Senators Kelly Ayotte (R-NH) and Jeanne Shaheen (D- NH) announced that $3 million has been set aside for the development and installation of this technology. Fishermen hope it will replace the current model of in-person monitoring, which costs them approximately $700 per day every time they bring a person out. Josh Wiersma of the Environmental Defense Fund said appropriating the money is a step in the right direction. “I think this is a big step forward,” Wiersma said. Wiersma testified on the subject before the Senate Small Business and Entrepreneurship Committee in Washington, D.C., this March. He has worked to make electronic monitoring programs a reality for some time, saying that the current in-person monitoring mandated by the National Oceanic and Atmospheric Administration leads to inaccurate results, and fishermen don’t have room for monitors on their boats. April 22, 2016 — SACO, Maine — You can learn a lot about the life cycle of certain types of fish by spending your time on the seas. As a small-scale, sustainable hook fisherman, I’ve certainly been able to learn a lot over my years. But more recently, some of what I’ve learned has me really scared. Take herring, a fish that we see a lot of around New England. They make their way to inland rivers in the spring in order to spawn before heading offshore. The problem is, New England has had a huge problem with pollution in our waterways – and herring, at a very young age, are particularly susceptible to pollution. And what they take in could very well end up on your dinner plate. The same is true with Atlantic salmon, a fish that was harvested here by Native Americans and Pilgrims hundreds of years ago – and that now is on the verge of extinction. Some will say that’s because of climate change, and that’s probably partially true. What they are missing is water quality. April 22, 2016 — BIDDEFORD, Maine — A group of scientists say more Atlantic cod might survive being thrown back in the water by fishermen than previously thought. Scientists from several organizations, including the New England Aquarium in Boston and University of New England in Biddeford, conducted a study. It’s published in the International Council for the Exploration of the Sea’s Journal of Marine Science. April 21, 2016 — ELLSWORTH, Maine — With a magnetic swipe card system now in place, the Department of Marine Resources is able to track elver landings — or at least sales by harvesters to dealers — more or less as they occur in real time. On Friday, DMR released totals, current through 5 p.m. on Thursday, April 14, for all elver purchases reported by licensed dealers from DMR and tribally-licensed harvesters. As of the cutoff time, fishermen had landed a total of 2,932.39 pounds of elvers since the season began on March 22. That represents just over 30 percent of the 9,688-pound annual quota for all harvesters set by the Atlantic States Marine Fisheries Commission. In the four days since the previous report, harvesters sold some 738 pounds of elvers to Maine dealers. Of that, harvesters licensed by DMR rather than by one of the state’s four recognized tribes landed 426.34 pounds. 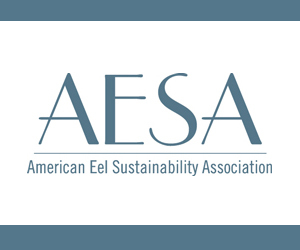 As of Tuesday morning, dealers were paying harvesters about $1,450 per pound for live elvers. April 21, 2016 — PORTLAND, Maine — The federal government has added several populations of economically important food fish, including stocks of salmon and flounder, to its list of fish stocks that are being subjected to overfishing. 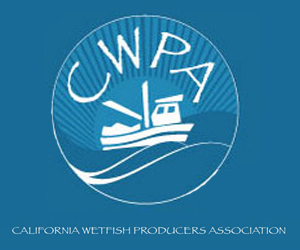 The National Oceanic and Atmospheric Administration said Wednesday that three regional populations of Chinook salmon and one regional population each of Coho salmon, summer flounder, yellowtail flounder and winter flounder are suffering from overfishing. NOAA produces an annual update of its list of fish that are either subject to overfishing or have been overfished to the point where populations are too low. The report informs conservation and management efforts. Overall, the number of fish on the “overfishing” list climbed from 26 to 28, and the number on the “overfished” list rose from 37 to 38. April 21, 2016 — Thirty-two lobsters. Taken off the same shore in one day, and it’s a grand start toward a summer feast. But picked out over a long stretch of coast in an eight-year period? That hardly warrants an absent-minded mention at the dinner table, much less an international trade incident. But that’s just where Sweden is taking its find, as the country seeks to ban all imports of live American lobster into the European Union’s 28 member nations. The ban would be a $10 million annual hit to the pockets of Maine lobstermen – and roughly $150 million for the U.S. industry as a whole – all over a number of bugs that would have a boat captain cursing if it were one day’s haul. Sweden’s proposal, backed by dubious science and questionable motives, is now in front of the EU, which should reject the ban, and tell Sweden to find a solution much more on scale with the problem. 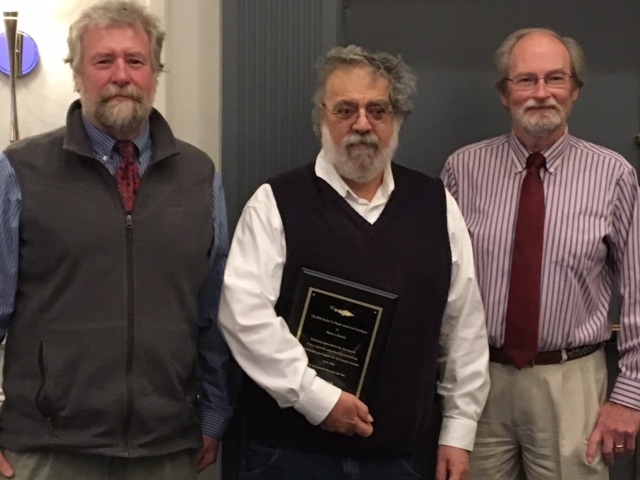 Former Massachusetts state fishery scientist Steven Correia received the New England Fishery Management Council’s (NEFMC) Janice Plante Award of Excellence for 2016 at its meeting today in Mystic, CT. While the now-retired Fairhaven resident was employed by the Massachusetts Division of Marine Fisheries for over 30 years, Steve was honored by the NEFMC for his extraordinary contributions to federal fisheries management. The annual Janice Plante Award of Excellence, first awarded to Janice herself in 2015 for her outstanding news coverage of New England’s fisheries, was established to pay special tribute to those who have displayed outstanding commitment and contributions of time and energy in service to the Council fishery management system. For the last 26 years Steve served the NEFMC in various ways. He was a member of the technical teams that provide the scientific underpinnings of the Council’s management actions. To that end, he was a charter member of the Scallop Plan Development Team, or PDT, beginning in 1991 and served on the Groundfish PDT from 1994 through 2015, during one of the most challenging periods faced by the New England Council. But he also was a key contributor to nearly all of the Council’s major PDTs at one time or another. The standing joke among his colleagues was that Steve was the most valuable Council employee who was not on the NEFMC payroll. He was Chairman of the Multispecies Monitoring Committee from 1997 through 2001 and during other periods was a member of the Atlantic Herring, Monkfish, Red Crab, and Dogfish PDTs, always bringing ideas, analysis, and integrity to the job. During the development of the Groundfish Fishery Management Plan (FMP) as we know it today, he was influential in designing effort controls to reduce fishing pressure on fish stocks of concern and stock rebuilding programs, harvesting “sector” rules, and methods to establish and account for catch limits. 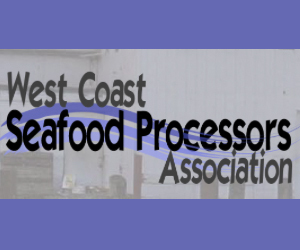 As a member of the Scallop PDT, Steve participated in the development of the rotational management system and the early scallop closed area access programs. He also helped develop measures to protect river herring and shad that were eventually included in the NEFMC’s Herring Fishery Management Plan. Steve frequently contributed to the stock assessments supporting each fishery management plan. Through his long experience, he was able provide key perspectives to management challenges, often helping less experienced Council staff better understand the context of management choices. He also served on the Council’s Scientific and Statistical Committee in 2011 and several years on its Research Steering Committee. He touched nearly every management decision made by the Council since at least 1990. His hard work and technical skills were valued by every PDT chair and significantly improved the analyses that supported Council actions. During his many years of service Steve Correia was an invaluable asset to both staff and the Council alike.